Banff, Canada is one of the most spectacular places in North America – stunning mountain vistas, wildlife, rugged western landscapes. 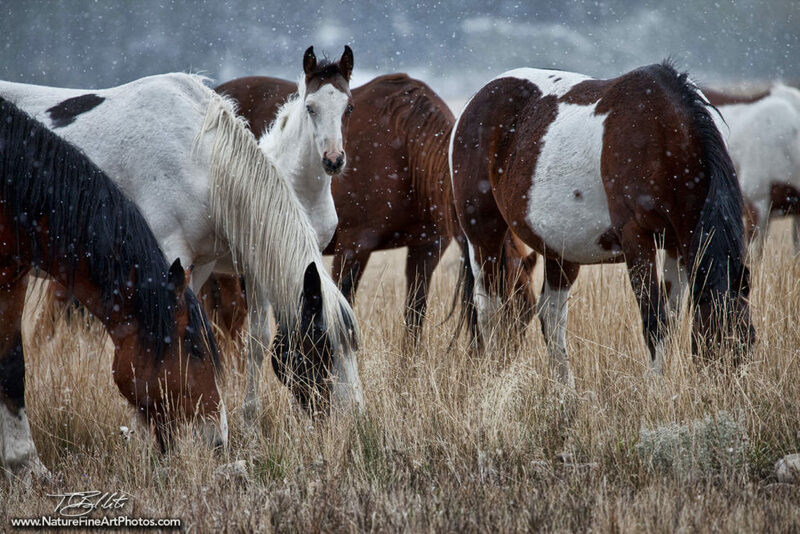 As we drove some of the rural highways through an October snow storm, we stumbled upon this beautiful herd of horses. The horses were simply grazing amongst the many hundreds of acres. This photo was captured with a long lens to give the feeling of intimacy, to give the feeling that I was “Amongst the Herd”. The adult horses were focused only on eating. The combination of snow and the innocent, blue-eyed colt staring back at me made for a great western photo.